Copy to: 1. Managing Director 2. Dy. MD (Asset Development & Management) 3. All General Managers 4. All Chief Engineers 5 Director General IHR) 6 Finance Director 7 Chief Internal Audit 8. Legal Advisor 9. I T Director. 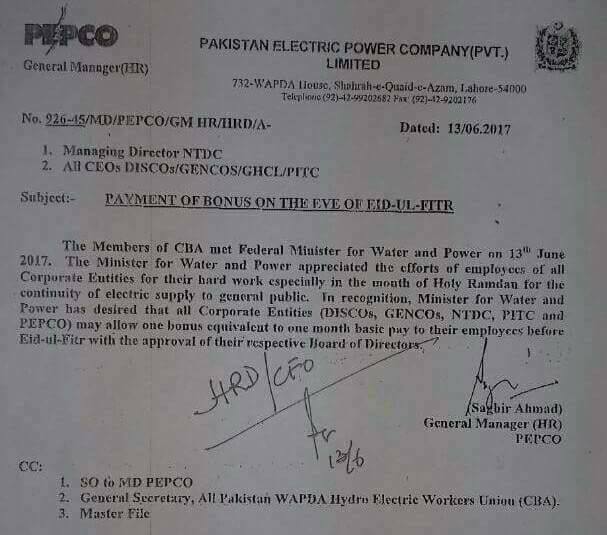 The Members of CBA met Federal Minister for Water and Power on 13. June 2017. 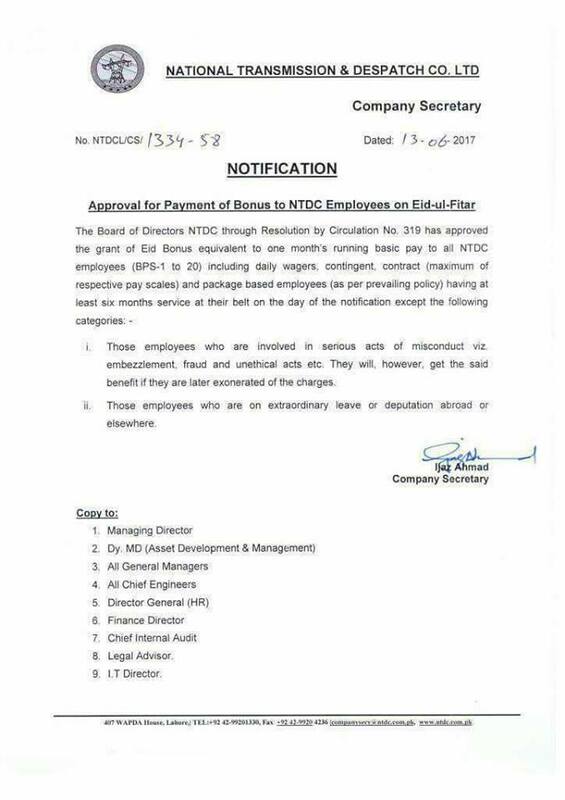 Eid Bonus Notification awaited from MEPCO, LESCO, IESCO, GEPCO, QESCO, PESCO and FESCO..